A volume from Peterson Field Guide written by Boughton Cobb and providing the definitive guide to the ferns of Northeastern and Central American ferns. 281 pages with many illustrations and diagrams. A compilation of readings from Scientific America that relate to Immunology. 1976. A mine of information about this important topic. Paper backed with 269 pages. Many illustrations and a full index. Written by David Sharp and dated from 1901, this is an encyclopedic volume dealing with insect structure. Hard backed and with 624 pages this book is in good condition for its age. An excellent book that describes the history of the Royal Microscopical Society. Written by Gerard LE Turner a past president. A fascinating historical account. Hard backed with 115 pages and many illustrations. Down the generations parents and grandparents have associated an interest in microscopes with 'scholarlyness'. This book written by Captain Ellison Hawks looks at microscopy from the perspective of the instant results that children demand (even in 1919!). Hard backed and with 146 pages this looks at making slides to interest children from mites and ticks to pond life. There are a large number of photographs as well as drawings which is unusual in a book from this period. It is showing its age a bit but well put together. A definitive account of the pathology of disease from 1951. This covers laboratory testing procedures and their significance in diagnosis. Written by two eminent pathologists of their day, May and Marrack. Hardbacked with 512 pages. 14th revised edition by simon, dormer and hatshorne 1968 hardback with 679 pages. Contains a good chapter on the basic problems of ecological observation and experiment. many references to economic problems such as food supplies, the production of herbicides and the purification of drinking water. A Quekett Microscopical Club publication compiled by M J Newstead in 1994. 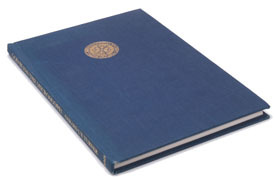 It is the cumulative index to the Quekett Journals of Microscopy Volumes 1 to 36 covering 1868 to 1992. Hard backed covering 243 pages. Excellent condition. From the Collins New Naturalist Series this is a description of the mushrooms and toadstools found in the UK. Written by J Ramsbottom and reprinted here in 1977. Hard backed with original dust cover. 306 pages with numerous black and white photographs. Very good condition. An introduction to structural botany - part 1 - Flowering Plants. Written by Scott and Brooks and published by A & C Black in 1927. Numerous drawings. Hard backed with 308 pages. Good condition for its age. Not specifically about microscopy but more fundamentally than that this book is about the eye and how we see things. Fascinating read. Written by H Asher and hard backed with 271 pages, good condition. Written by Gerard L'E Turner (a prolific microscopy book writer) this is a complete history of the Royal Microscopical Society (RMS) over 150 years. Hard backed with 166 pages and some excellent photographs down the ages. Excellent condition. The definitive textbook of Botany running into 620 pages with index. Hard backed and written by Lowson. There is nothing else you would need to know about the anatomy and physiology of plants with many, many illustrations.